Deborah Elaine Williams, a native of Jacksonville, Florida was born May 23, 1952 to the late Robert Hobbs and Bernice C. Longworth. He was educated in the Duval County Public School system and graduated from Samuel W. Wolfson High School. 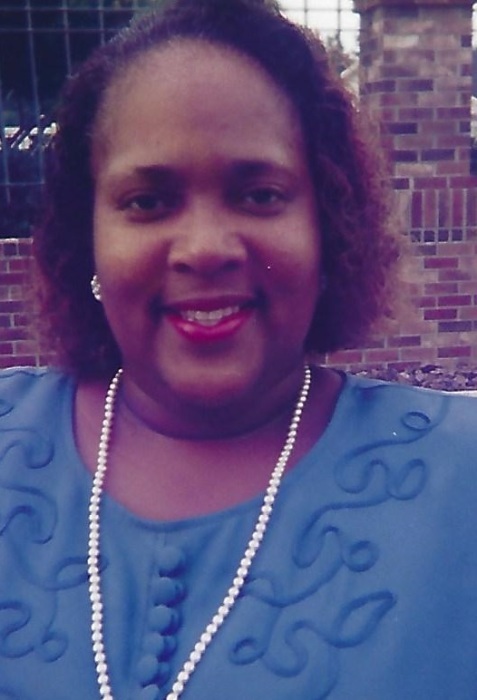 After graduation, she was employed with the Duval County Public Schools as a Teachers’ Aide making lifelong friends. She met no strangers as she welcomed you with humor and wisdom. She was known as “The Candy Lady” and also a faithful member of Greater Church of God by Faith. Survivors include, her husband, Ernest D. Williams; daughter, Yari Stanfield (Leo); son, Emanuel Floyd (Tara); grandchildren, LaKiayah Floyd, Amani Walker, Anya Walker, Jordan Stanfield, Taylor Stanfield, Miguel Floyd, Emmanuel Floyd and Ziva Floyd; mother, Shirlene Hobbs; siblings, Beverly Fields (Freddie), Annette Fryer, Esperanza “Toni” Fryer and Shirena Hobbs-McFadden (Arnell); mother-in-law, Dyris Williams; sister-in-law, Tanya Williams; and a host of nieces, nephews, cousins, along with a host of other relative and dear friends.